Is anyone following you? The journey to strong, effective leadership can be lonely at times. 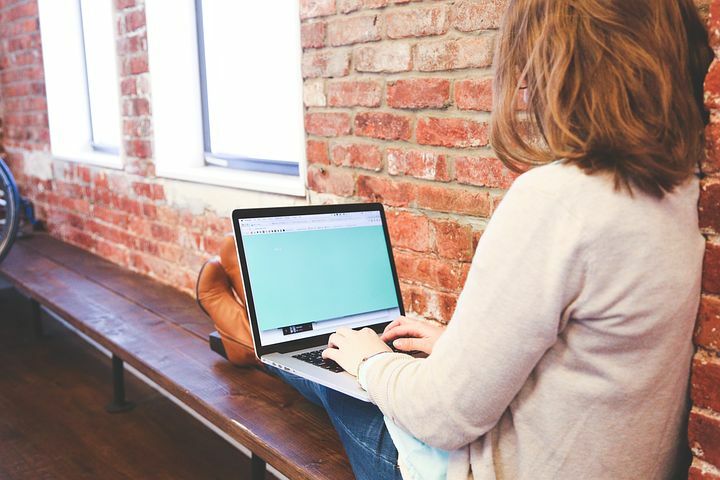 There’s a way that professional women lead that sets us apart from everyone else including our male peers. Others willingly follow when you lead from this special place and openly become AMBASSADORS for you even when you are not around. This is called real INFLUENCE. 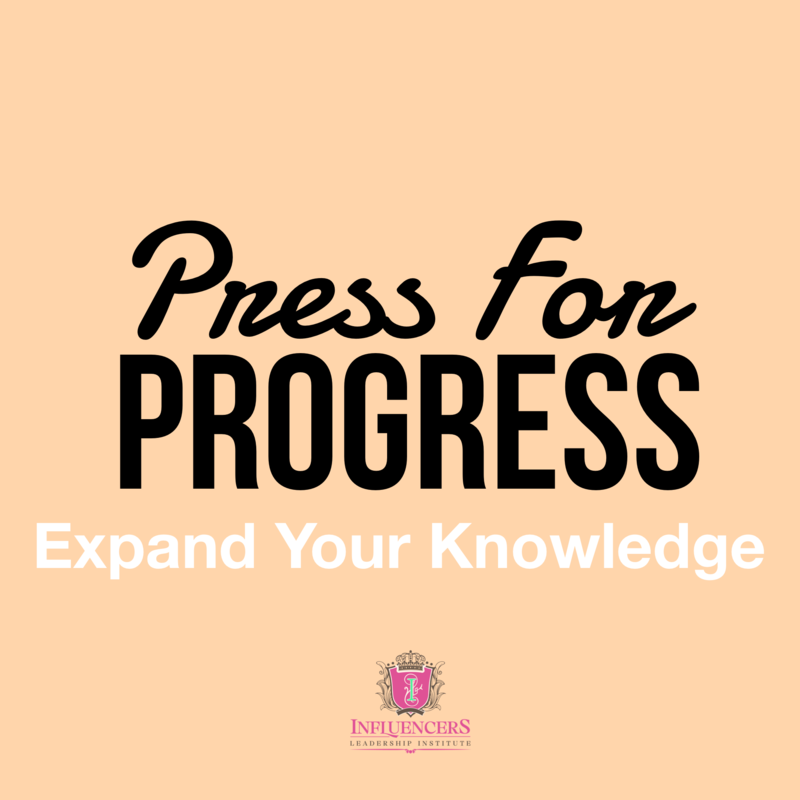 Women Influencers have the ability to inspire and motivate others with their actions, words, and thoughts. The greatest form of influence however is when others follow without being forced, scared, or intimidated into coming alongside the vision and work to manifest it with you. Ultimately, you want to be magnetic where others are intrigued by who you are as a leader and feel an instant connection. I’m passionate about helping professional women lead the way and sparkle in the workplace by developing leadership potential. It’s time to change your mindset and increase your influence when it comes to leadership. 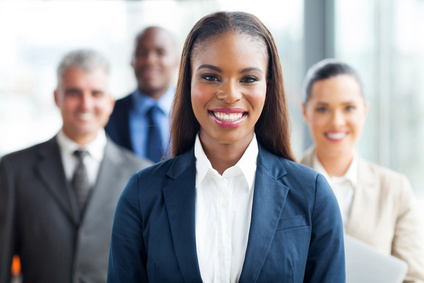 As a professional woman, there’s a leader within you waiting to come out. Let me help you unleash it! Are you planning to join us? Remember to email your questions to info@erykatjohnson.com or simply come prepared to ask them. I’ll give you an opportunity to share. Also, invite a friend. I believe women leaders should support one another. You can become a lifeline for another struggling woman leader. Let’s band together and build a strong community of confident women leaders with a mission to change the lives of others. 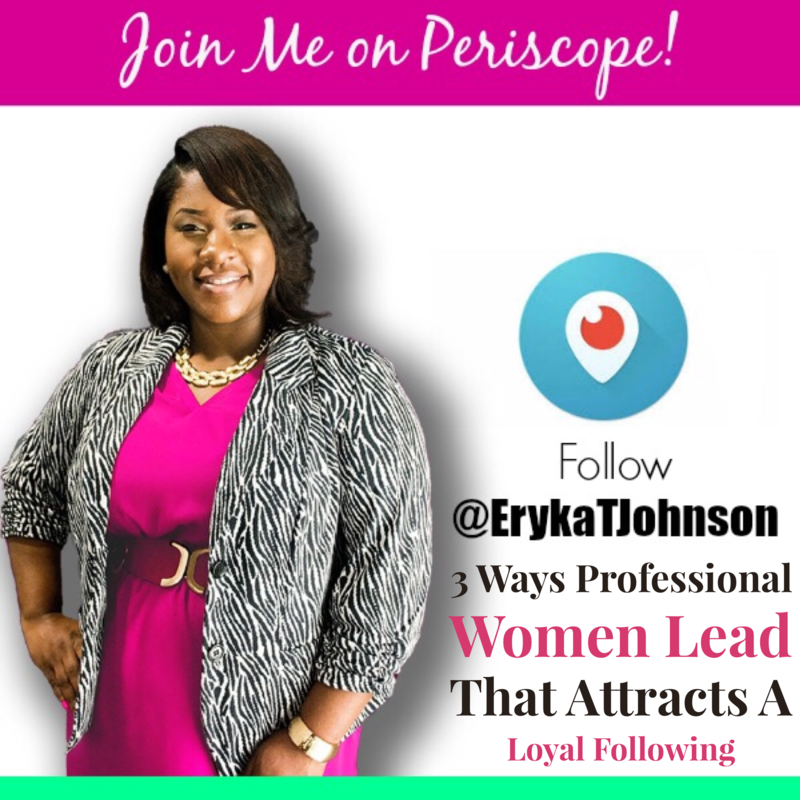 Follow me NOW on Periscope TV @ErykaTJohnson. Once you open the app, the broadcast starts LIVE at 9am on February 27th. Let’s spend some time together and develop your plan for success as a confident woman leader.